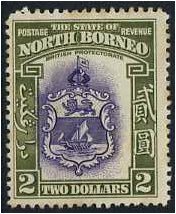 Home :: North Borneo :: North Borneo 1937-1952 :: North Borneo 1939 $2. Violet and Olive-Green. SG316. Mounted Mint 1939 $2. Violet and Olive-Green. SG316. 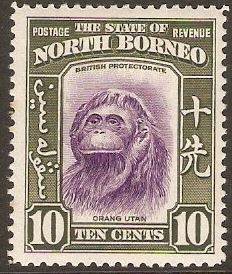 Stamp has toning around perforations.